NOW THERE'S A SCAG PERFECT FOR THE HOMEOWNER! 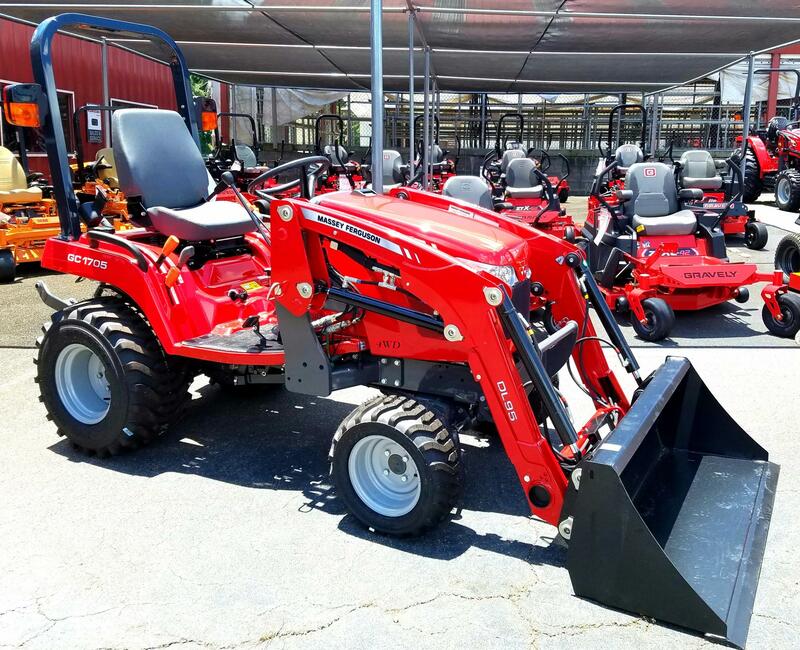 The SCAG Liberty Z is specifically designed for the homeowner that wants a high-quality mower but does not need a large, commercial-grade unit. 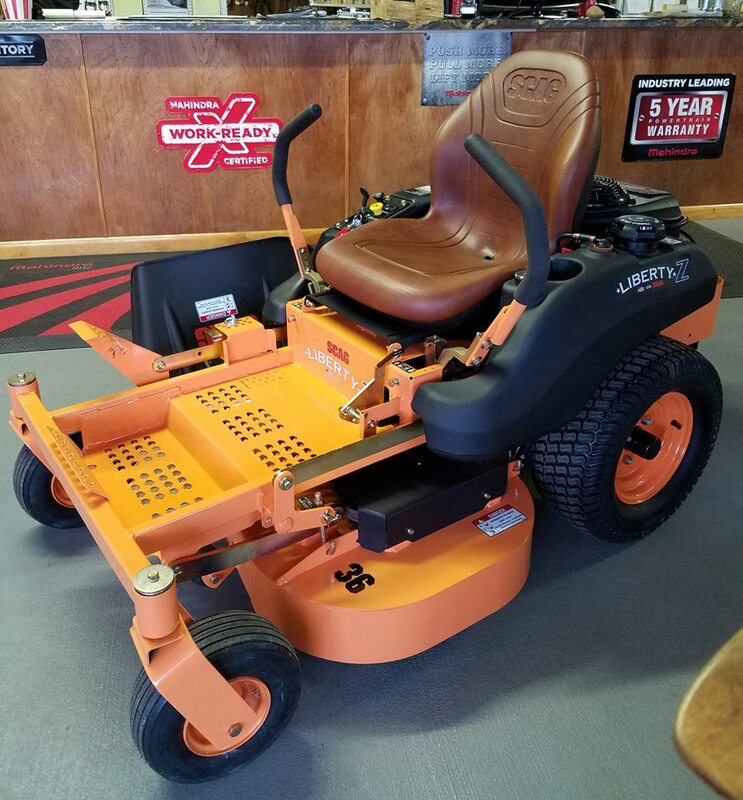 Dixie Tractor offers this mower in a 36", 48", and 52" deck. Click on the picture for more details about this series. The Freedom Z zero-turn rider is a compact high performance mower, perfect for commercial use, or for use on estate and large properties. 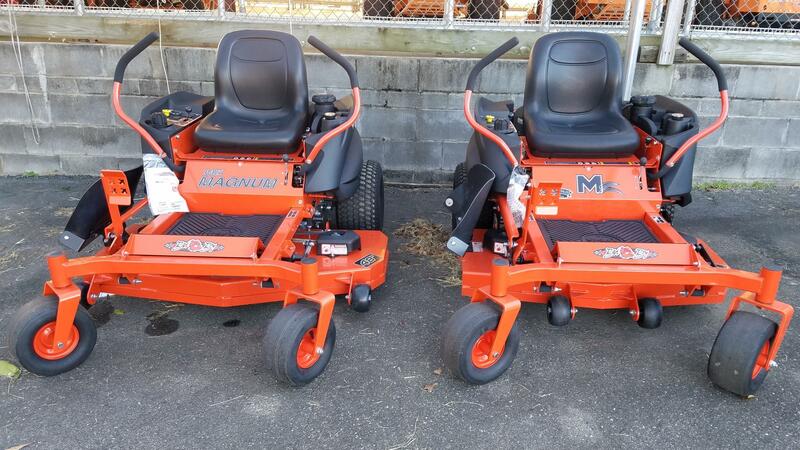 Choose from a 48" or 52" cutter decks with air-cooled engines up to 28hp. Click on the picture for more details about this series. TRUE COMMERCIAL GRADE. INCREDIBLE VALUE. This impressive zero turn rider is designed with the needs of lawn care pros in mind. Delivering commercial-grade results at an incredible value, the Patriot will exceed your expectations and have your "competition" talking. Click on the picture for more details about this series. With roaring power and agile maneuverability, the compact SCAG Tiger Cat II is a force all its own. Where productivity is essential, the Tiger Cat II delivers with ease, capable of handling more than 24 acres a day. Available in 48", 52", and 61" deck. Click on the picture for more details about this series. RECHARGED & STILL LEADING THE WAY! The all-new Turf Tiger II stands heads and tails above the crowd in power, durability, and performance. 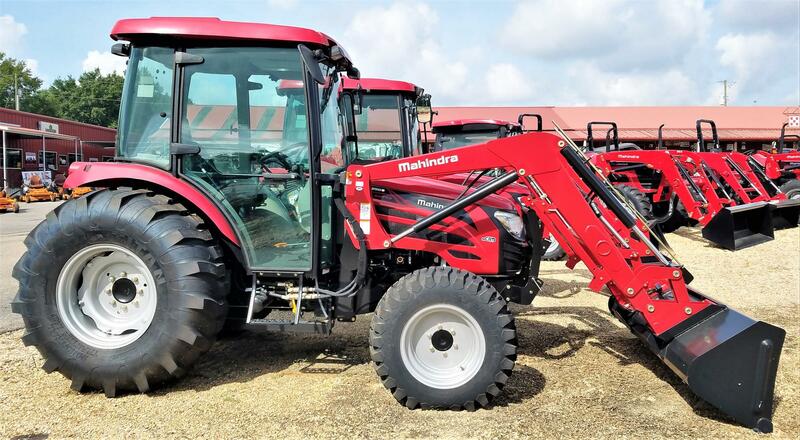 This industry benchmark has been re-engineered to be as easy on the operator as it is efficient on tough jobs in the field. This series is available in 52" and 61" or 72" Velocity Plus deck. Click on the picture for more details about this series. THIS WALK-BEHIND SETS NEW STANDARDS IN COMFORT & QUALITY! 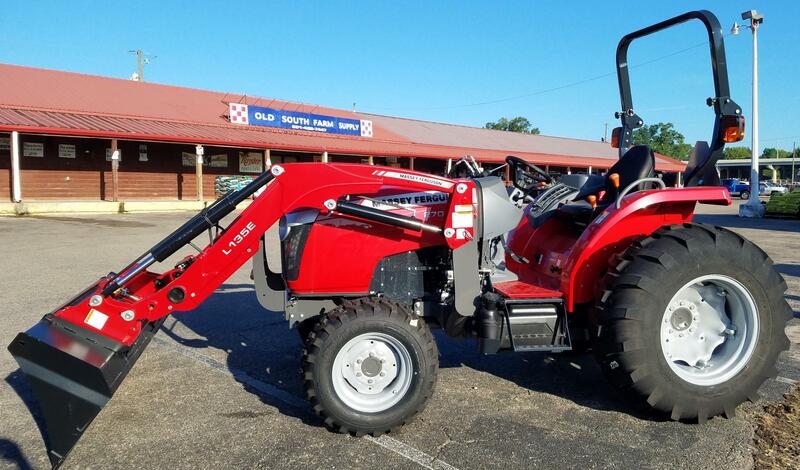 Its oustanding operator control system floating, easy-adjust cutter deck and smooth powerful hydraulic drive system makes mowing a dream. In fact, the SWZT may just be the smoothest walk-behind SCAG has ever built. Click on the picture for more details about this series. 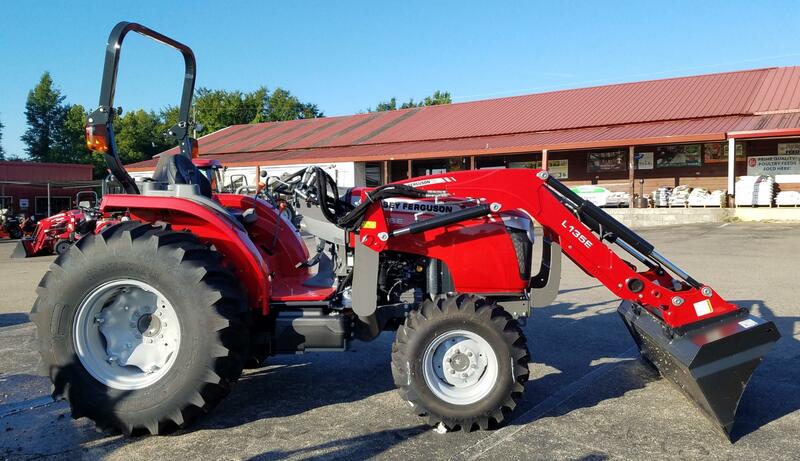 TThis 2019 season, SCAG is offering 15% off MSRP through "Simply the Brave". 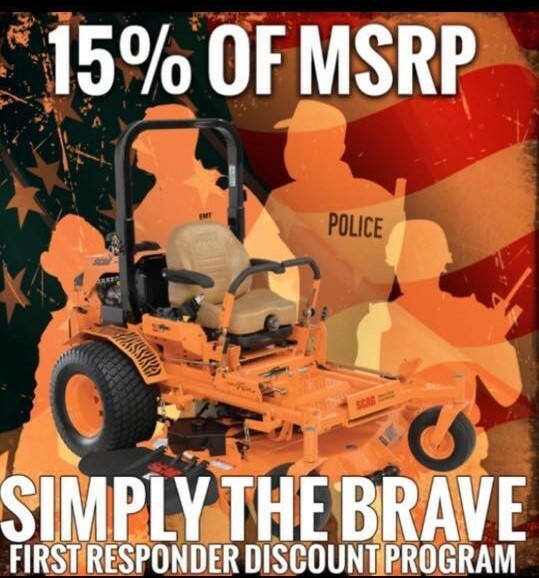 All of us here at Dixie Tractor and SCAG are joining together to honor our military and first responders with this discount. We are grateful for your service to our country and to our communities. If you are a veteran, active military, or first responder, take advantage of this great offer. 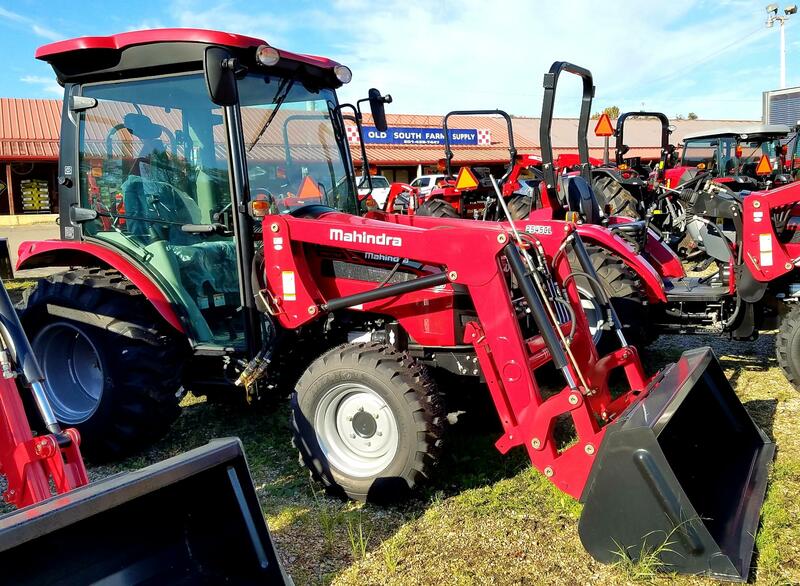 Please contact us at Dixie Tractor for more information (some restrictions may apply/4 models are excluded from promotion).